Before going to Japan, I heard people say the subway train systems in Tokyo are complex and complicated. Now that I am back, I’d like to rephrase that to neat, well-organized, cost efficient and quite user-friendly. It’s the lifeline of the city and is intensively used as a chief mode of commute by the locals for getting around. When coupled with a 2 to 3 min. walking, these systems can give you an easy access to almost every point in the city! Within the Tokyo vicinity, more than 10 different train operators span across above-ground train, subway and monorails and each have their own set of lines sometimes connecting to the other operator’s line. This fact is very well reflected in the multicolored map with each color representing one of the train lines. It all looks highly tangled and complex at first glance but believe me it is not. All you need to do is get out there and get into the system. Take a ride or two and warm yourself up and then see the magic. Tell me if you don’t start to enjoy. Remember: A Tokyo train network map is a must have and you must keep it with you wherever you go. Each subway station is spread in a huge area with different lines, gate numbers and trains moving in and out of it. If you get a feeling of getting lost, do not panic. Simply because you are not! There are lots of signs and signages at every step to guide you around. You just need to follow them. Remember to: Keep your eyes open and be alert. Interact with the locals: It’s good to be confused! All with cheerful smiles and heartfelt tête-à-têtes that made for wonderful memories to be treasured forever in our memoir of Tokyo. Remember to: Approach them with a smile and a plea for help. And if you are English speaking, do remember to speak slowly. Train Lines: Intimidating? Not really! This is the trickiest of all. The train lines interconnections can look quite intimidating at first but once you have taken a few rides and with the map in your hand, you do start to understand a few things and gradually you can’t help but admire its intricate design and well ordered layout. These lines are laid out in such a manner so as to give you an easy access to virtually reach anywhere, anytime! The only hassle multiplicity of lines causes is the need to change trains which means wastage of your precious time and buying of appropriate tickets for your complete journey but punctuality and excellent frequency of trains and Japanese helpfulness easily takes care of these factors. Remember to: Mark on your map the departing and alighting stations and the respective train lines for your destination. Ask the locals. Talk to the locals. Note what the locals say. Take their help and enjoy. Remember: This may not be the only way to move around but it’s certainly the best and I assure you once you do that, train rides will not just remain rides but transform into joy rides for you. But if you dont know Japanese how easy is it to follow the signs? Do they have English signs? We have those paths for the visually impaired here in Spore too. And do you get maps in English? mmm! Had almost great time at Tokyo! By the way, I have started my English blog. Hoping to post more about the significant places with pictures. Please do drop by and let me know your comments. You are very brave Arti! I even have trouble with the public transportation in my own country even when I can read the signs. I have ridden the bullet train out of Tokyo, but it was a long time ago. I will say that the color coded subway lines look like those in Washington, D.C. and those are based on the line in Paris. Not too bad to follow, once you get the lay of the map! Wow..! How beautiful these trains look.. I feel like travelling on one of these..Very informative post..Arti..! @Arti Good morning. 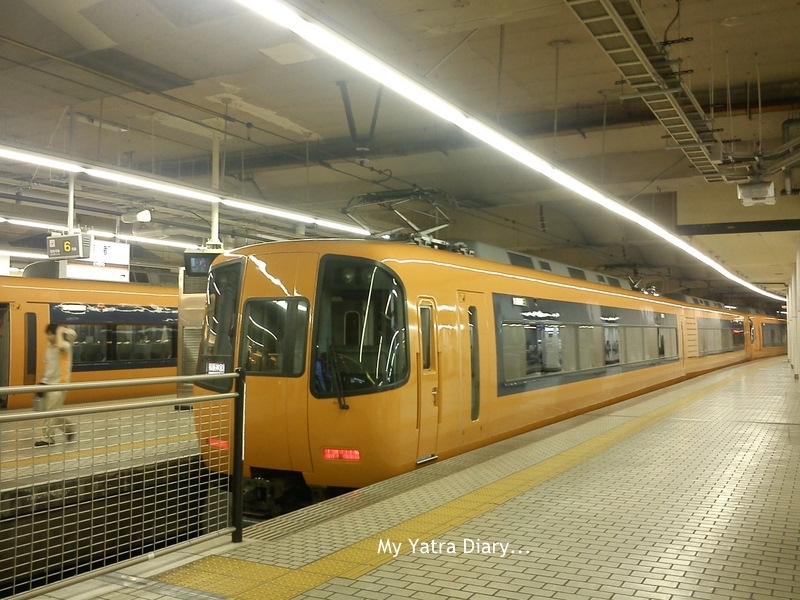 Just come to your blog and read another nice post from your Japan trip. Beautiful description with photographs. Thanks a lot. 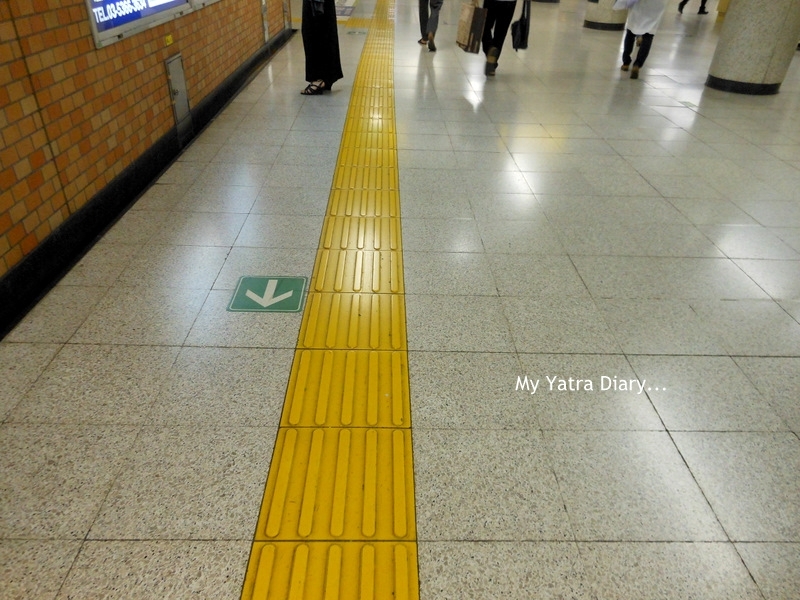 It's look all city conected by subway, are all tools there use japanese language arti..? 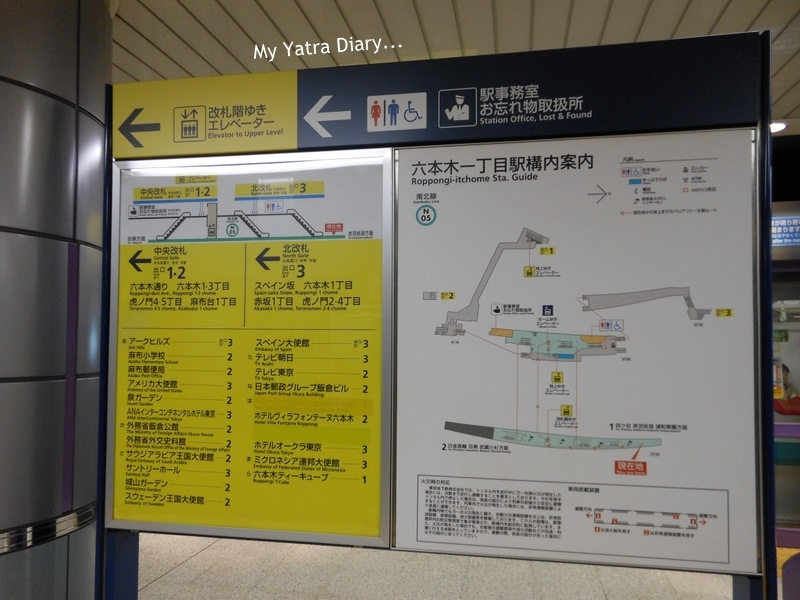 @Mareta @Jaish_Vats Maps come printed in both the languages - English and Japanese - on two sides of the same paper. The signs that you see at the station platforms, at least the useful ones like gate numbers, platform numbers, station names, etc. are all written in English as well as in Japanese languages, so that travelers and the locals have no trouble following them and commuting accordingly. I took the subway train to Ueno Zoo and the same train back to the hotel in Shinagawa. But, the rest of the time, we took the taxi, especially when we wanted to go to a particular restaurant and could not read the Japanese sign on the restaurant. You have great skill because the train is very complex as you said. I often lose my way in Tokyo. useful post...hope to use it some day! It is always great to have an idea of how public transportation works in a large city. The trains look very beautiful, in and out. Let us see what is in store for us in India after the upcoming metro/mono rail systems become operative in many of our cities. It was good to read so many valuable information. Yes you are right, if we don't understand we can always take the help of the locals, and they would definitely help us, just as we would if they ever landed in our own confusing country. If by any chance I get to Visit Tokyo, I will make sure I read you blog posts, I'm sure that the post would give me all that I would require. Nice to know that they have maps and other sign boards in English too! Oh my, the map is reminiscent of a bowl of spaghetti. Or should I say ramen? You are just a born traveler Arti! I'm impressed. We're small town folks from the West Coast of the US (where there isn't really much public transportation at all) so when we went to London we were happy we could figure out the train/subway system there... like you we got it down pretty quickly. (But after all we did speak the same language, so I am really impressed at how well your did). Oh how I miss the Tokyo transportation system. I will disagree with you on never being lost - I knew locals who got lost going through the crazy winding passageways and getting on the super express rather than regular express and missing their station. That being said, you can pretty much get anywhere you need to! I have a very poor sense of direction. But, I guess once they get used to the subway system of Tokyo, they will find it convenient and the fastest way to reach a destination. Tokyo has the greatest system of subway. But, didn't you worry about if you had taken a right train when you used the subway first? Surprisingly at most there are 4 stations which have the same name! Soon I go to Tokyo to see my son with my mom. This time also I will hold the map of subway system tight in my hand and will often ask people to help. Arti, thanks a lot for introducing Tokyo in such a lovely way!! Wow! It really is complex! And it's good that English is on all signages. 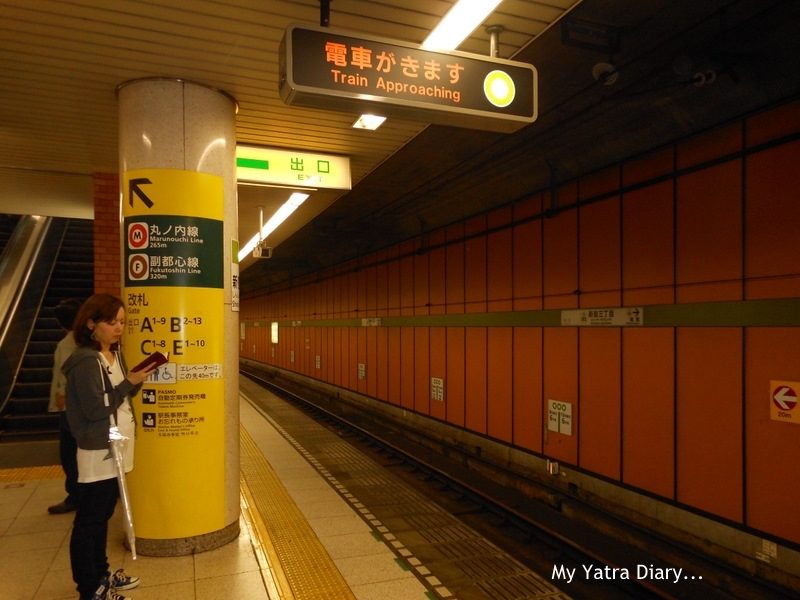 Tokyo's trains and subways were one of the best and most efficient we've ridden. Looking at the map was so intimidating. We found an iPhone app called metrO and it was great. We only managed to get lost and yes, the Japanese were so helpful. Great tips here, Arti! @gigihawaii Thanks for sharing your experience, gigihawaii. 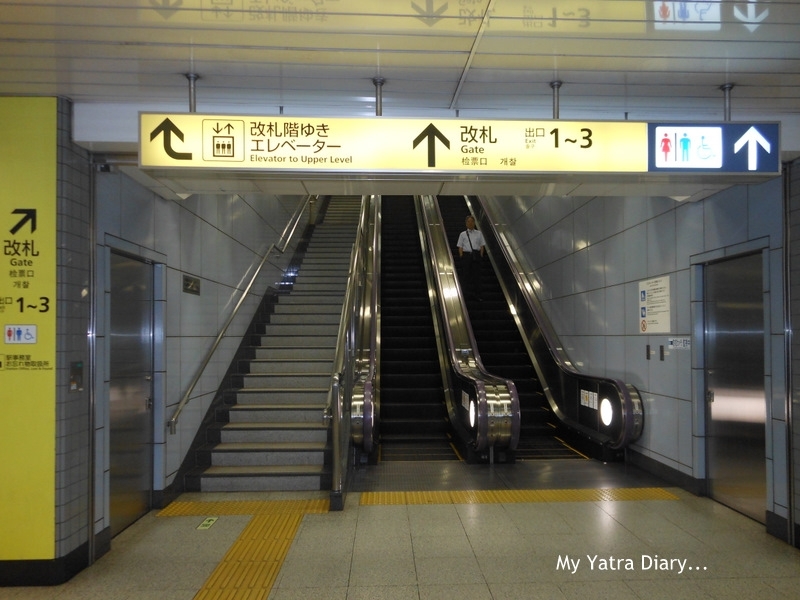 On the first day of our stay in Tokyo, we were pretty scared of using the Tokyo subway and contemplated on the idea of hiring a taxi for our Tokyo sightseeing but soon dropped it out as that was too expensive an option for us. @Sallie A lot of Japanese did speak great English, may not have been fast or fluent, but good enough to make things understandable and a lot easier for us. @Margyle I have heard stories like these too and the comment by cocomino above (a Tokyo resident) only further substantiates your thoughts. I guess I was a bit lucky to have had a smooth ride with it and to have come back with such wonderful memories for it. @snowwhite You are right about the trains being convenient and fast and they are very cost efficient also. I did take the wrong trains on the first day of my travel and got down at the wrong stations. But that was when I did not have a map. I learnt my lessons thereafter and from day two onwards, cross-checked with the locals before hopping onto my train. @Mary It adds in one of my best experiences till date and I am pretty sure the same is the case with you. Thanks for sharing the iPhone app, Mary! I've always been fascinated by Japan and its efficiency. This was really nice about Japanese metro. Do most people communicate in English there? 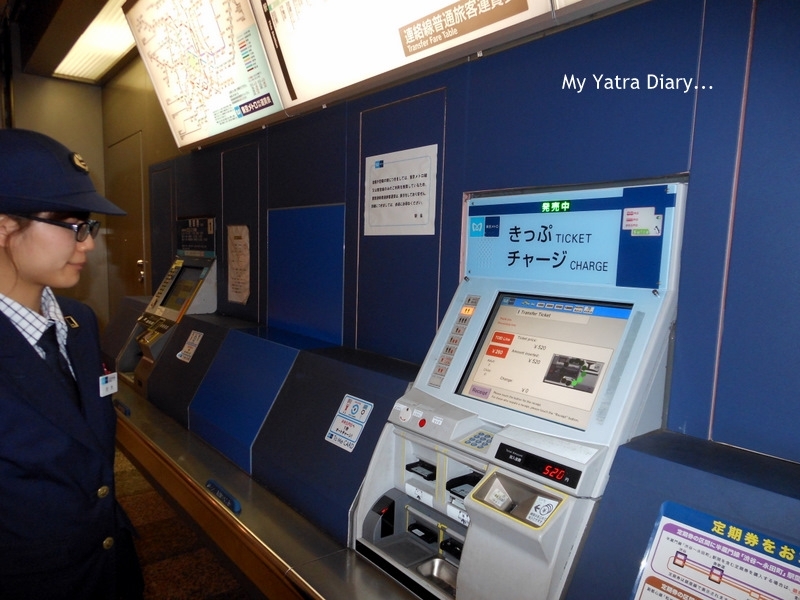 You are very cool to understand the system of underground in Tokyo. 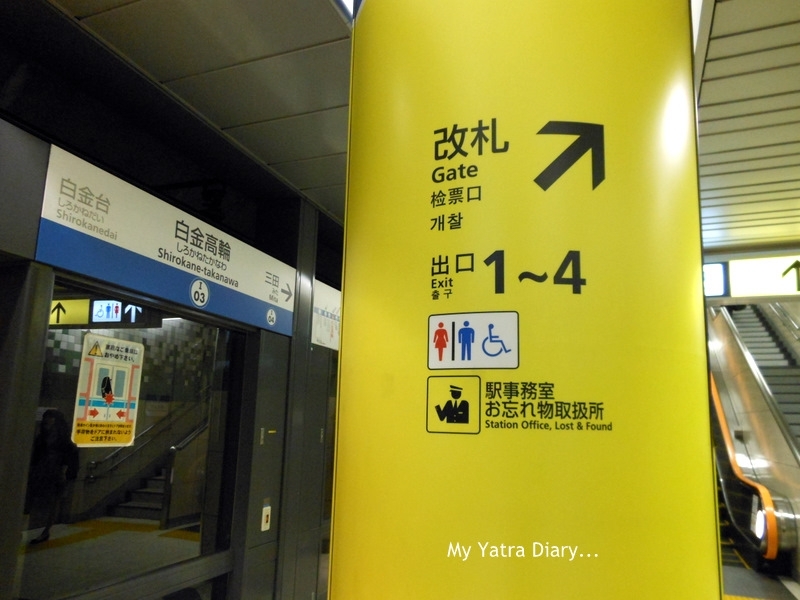 When I took it at shinjyuku station in my first ride long ago, I was lost. I'm glad you enjoyed riding and Japanese were kind to you. So you are very charming. @Rachna I was speaking English all the time and the Japanese do respond back in English. At some times when they did not seem to understand it, they ran out and called someone who could converse with us in our language and could help us out. Wow, you put your signature in the right place! 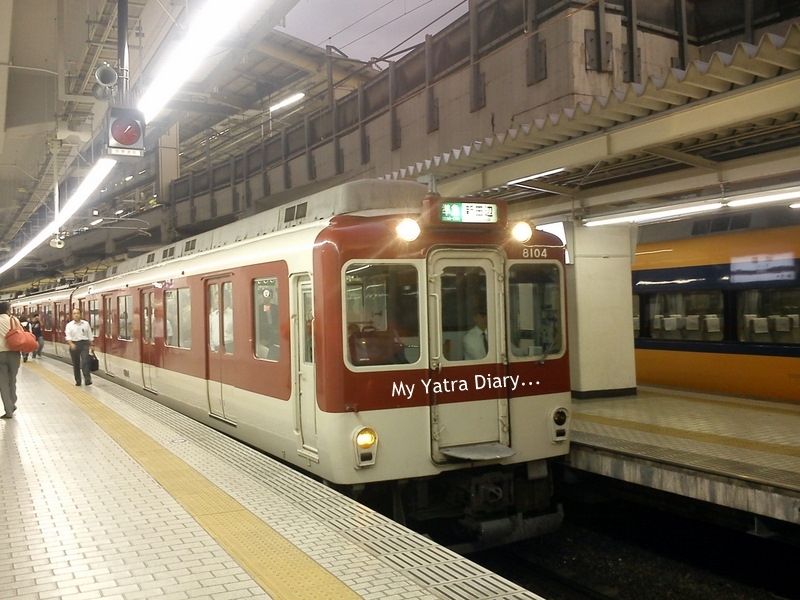 My Yatra Diary train is so cool! I agree with you, map is always a must-have. Very informative. Thanks a lot, Arti. Great information about Tokyo! I love your Blog. I never went to Japan yet but I plan to travel over next year and I will definitely use your tips. If you like playing games, you should check out "JetPot Travel Slots" on Facebook, you will find Tokyo between the destinations, it was fun for me to explore it! The map does look convoluted but you're right: after a while, you figure it out. I remember the maps in London, Paris and NYC looking similarly complicated. hmmm was in Japan two months ago. I had also the same map for interchanging trains but whenever in confusion we interacted with locals with positive results. apologies for the late reply .. and belated diwali wishes ..
although the chances are 0 but i've still archived this post for future reference ...just in case luck shines my way ! I travel daily on #delhimetro since two years now and see those elevated yellow lines on platforms too there but never I knew for what they are used for thanks to you now I know them. Sincerely speaking I don't think many people would have written about Tokyo Subway trains in such a subjective manner as you had. That was wonderful. Everything is so well organized in their country, even an outsider can walk in and learn how to go about in their country. I wish India were as efficient as Tokyo is. Thanks for sharing the lovely snaps, the pics clearly explained what you had to say in the text. That was very informative, Arti - and thoughtful of you to give the tips to ease the way for future travelers. You have explained Tokyo subway so nicely. It would be great help for all the Indians and non-Japanese ! Thank you Arti for such an informative post. I wish we only learn from the Japanese and imbibe some of their methods that will help in improving our train services. Interesting, Arti. Brought me back the old memories of Japan. This echoes my experiences in the trains at Tokyo and Kyoto. But they sure need some getting used to -- and without an English language Map, I would be lost. Why don't you give the A to Z Challenge April 2013 a shot? Your blog looks ideal for the challenge. Arti i must say you adapt very fast & very well to new places & systems. All your pictures of Japan leave me wishing India was equally clean! 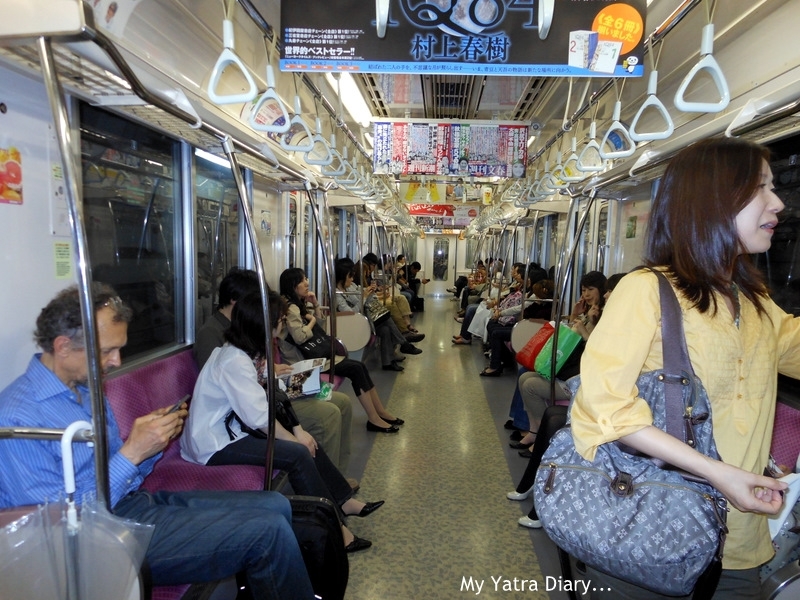 Wonderful piece on the Tokyo subway! Will take a print out of all your Japan posts, before I head to Japan next year. Wonderful post, Arti. Great tips! 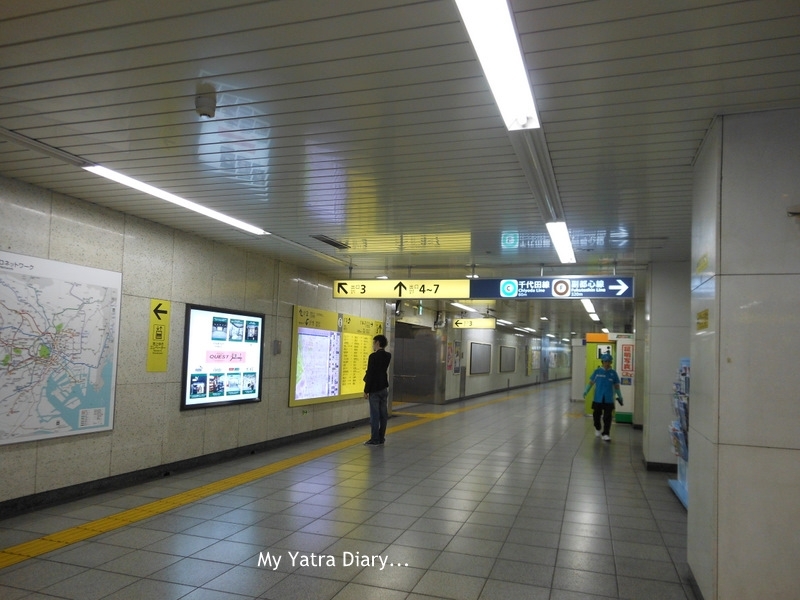 One can see the Tokyo subway and the trains are very clean and well patronized. Enjoyed going through the pics of the smart trains, station building and platforms. Oh, I want to visit the country some day! This is amazing! I wish I could travel too :) Are you in Tokyo now? The subway station looks as slick as any airport!! But do they have the sign boards in English too? Keep it up. I enjoyed reading it. Thx.